Meet David Klinkradt, a 12 year-old kid with down syndrome and autism, and Brett Chilcott, a buggy cyclist for Raising Hope SA. They’re quite the team. 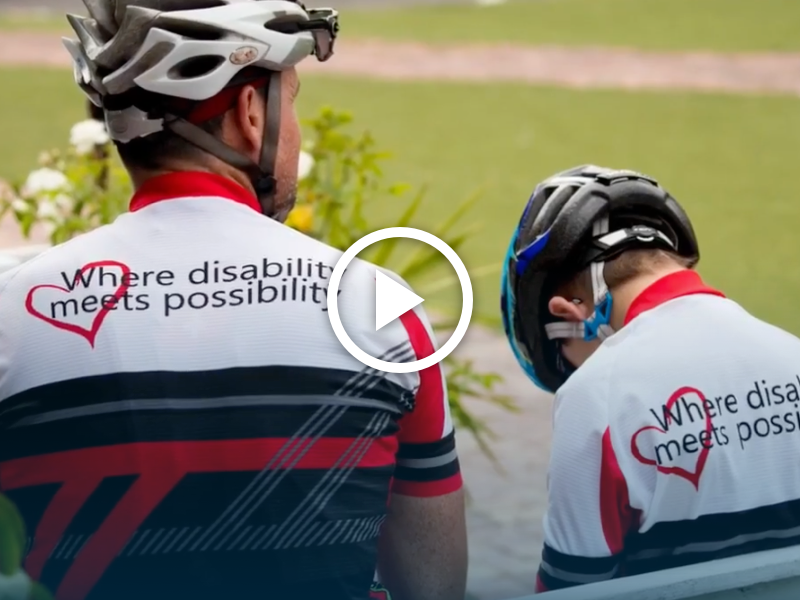 Brett is helping David realise his dream of riding the Cape Town Cycle Tour for the fourth time! David’s story of overcoming the odds is not just a heart-warming tale of humanity and friendship, it offers valuable and surprising lessons about the very real medical and financial benefits of inclusion. Inclusion is a major obstacle for people with disabilities – not just in fun or competitive activities like cycling, but in everyday life, at work and socially. Those in its grip can suffer greatly in ways we don’t often understand. The World Health Organisation (WHO) estimates that more than a billion people worldwide experience disability. Such people generally have poorer health, lower education achievements, fewer economic opportunities and higher rates of poverty. However, this is not because of their disability, but due to their exclusion from a lot of activities that the rest of us take for granted. Once we know this, it really hits home that the work of people like Brett and organisations like Raising Hope SA must be supported with all our might. Cycling’s many benefits for David include being able to reduce his medication before and after racing, reduced seizures and the priceless experience of inclusion in a sport he is passionate about! If you believe in #AbilityPower, pop over to https://www.givengain.com/cc/raisinghope170km/ and add your donation and a message of support to encourage inclusion.